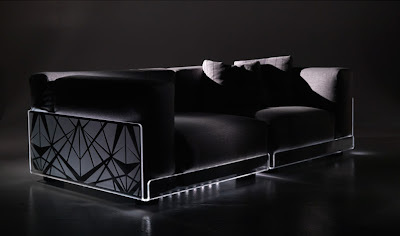 Aren't these sofa sets gorgeous? 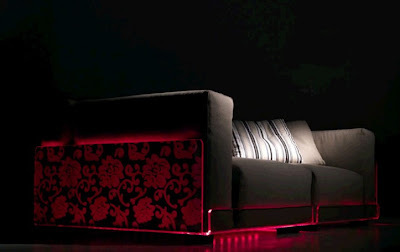 Of course you're not on MTV's Pimp My Ride or Jersey Shore with these illuminating design innovations. 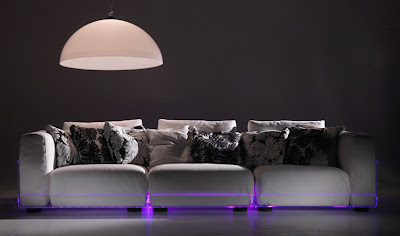 These are called Asami Light LED Sofas which were designed by Colico, an Italian company known to producing high-class and stylish furniture. 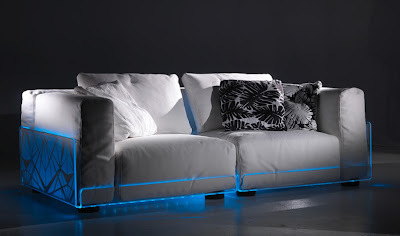 The couch as you see on pictures is equipped with color changing LED lights, sideways and underneath, integrated together and controlled by a remote. Perfect for your entertainment or living room as it can quickly adapt the color theme or mood of the place just by pressing a button. Truly, it is a versatile approach that represents a combination of contemporary technology and a fashion-of-the-future design.